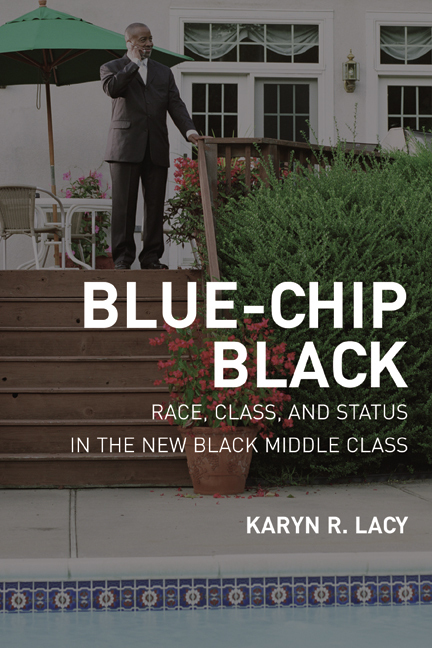 As Karyn R. Lacy's innovative work in the suburbs of Washington, DC, reveals, there is a continuum of middle-classness among blacks, ranging from lower-middle class to middle-middle class to upper-middle class. Focusing on the latter two, Lacy explores an increasingly important social and demographic group: middle-class blacks who live in middle-class suburbs where poor blacks are not present. These "blue-chip black" suburbanites earn well over fifty thousand dollars annually and work in predominantly white professional environments. Lacy examines the complicated sense of identity that individuals in these groups craft to manage their interactions with lower-class blacks, middle-class whites, and other middle-class blacks as they seek to reap the benefits of their middle-class status. Karyn Lacy is Assistant Professor of Sociology and the Center for Afro-American and African Studies at the University of Michigan, a Ford Fellow, and was a Visiting Scholar at the Russell Sage Foundation.